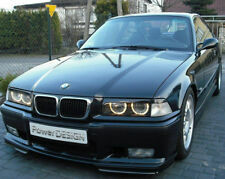 BMW 3 SERIES E36. They are made of black high quality ABS PLASTIC, direct from the manufacturer. Fit and lay perfectly. We look forward to see you soon. It makes a perfect gift or personal treat. Made of genuine plastic - ABS type. Surface is smooth on both sides. Neds to be sprayed to match your car colour. Fit perfect. This is not fiberglass copy! All products are new, made of best quallity black ABS plastic. 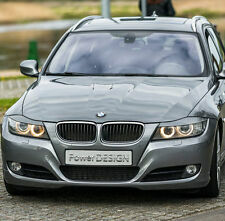 BMW 3 SERIES E90 / E91. They are made of black high quality ABS PLASTIC, direct from the manufacturer. PROFESSIONAL TUNING ACCESSORIES FOR CAR. Fit and lay perfectly. We look forward to see you soon. 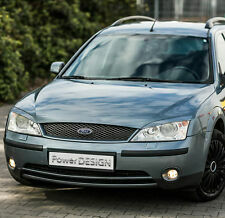 FORD MONDEO MK4. They are made of black high quality ABS PLASTIC, direct from the manufacturer. Fit and lay perfectly. We look forward to see you soon. It makes a perfect gift or personal treat. and you need to paint it into different colour base on your car. BMW X6 E71. They are made of black high quality ABS PLASTIC, direct from the manufacturer. Fit and lay perfectly. We look forward to see you soon. It makes a perfect gift or personal treat. and you need to paint it into different colour base on your car. FORD FIESTA MK6 FACE LIFT. They are made of black high quality ABS PLASTIC, direct from the manufacturer. We believe that everything could be solved smoothly by communication. Fit and lay perfectly. BMW X3 E83. They are made of black high quality ABS PLASTIC, direct from the manufacturer. 200 4 – 2010. Fit and lay perfectly. We look forward to see you soon. It makes a perfect gift or personal treat. SMART FORTWO 451. They are made of black high quality ABS PLASTIC, direct from the manufacturer. We look forward to see you soon. PROFESSIONAL TUNING ACCESSORIES FOR CAR. Fit and lay perfectly. It makes a perfect gift or personal treat. Fits all the VW golf MK7 2013 models, including the Golf GTI GTD AND Golf R. Gloss Black VW Golf MK7 Headlight Eyebrows ( Pair ). Actual pictures of the eyebrows fitted to a golf Mk7. 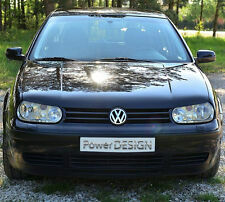 Give your Golf a great customisation with these gloss black headlight brows. VW GOLF MK6. They are made of black high quality ABS PLASTIC, direct from the manufacturer. PROFESSIONAL TUNING ACCESSORIES FOR CAR. Fit and lay perfectly. We look forward to see you soon. and you need to paint it into different colour base on your car. AUDI A4 B8. They are made of black high quality ABS PLASTIC, direct from the manufacturer. PROFESSIONAL TUNING ACCESSORIES FOR CAR. Fit and lay perfectly. We look forward to see you soon. and you need to paint it into different colour base on your car. 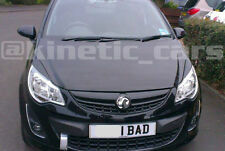 Fits the Corsa range from 2006 - 2014 All models inc VXR. V auxhall Corsa D headlamp eyebrows. Years 2010 - 2014. Made of genuine plastic - ABS type. Surface is smooth on both sides. Needs to be sprayed to match your car colour. Fit perfect. All products are new, made of best quallity black ABS plastic. All products are new, made of best quallity black ABS plastic. Made of genuine plastic - ABS type. Surface is smooth on both sides. Neds to be sprayed to match your car colour. Fit perfect. 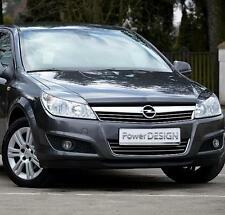 VAUXHALL / OPEL VECTRA C. They are made of black high quality ABS PLASTIC, direct from the manufacturer. Fit and lay perfectly. We look forward to see you soon. It makes a perfect gift or personal treat. They are made of black high quality ABS PLASTIC, direct from the manufacturer. 200 8 - 2012. Fit and lay perfectly. We look forward to see you soon. It makes a perfect gift or personal treat. and you need to paint it into different colour base on your car. Made of genuine plastic - ABS type. Surface is smooth on both sides. Needs to be sprayed to match your car colour. Fit perfect. All products are new, made of best quallity black ABS plastic. VW POLO 5 6R. They are made of black high quality ABS PLASTIC, direct from the manufacturer. PROFESSIONAL TUNING ACCESSORIES FOR CAR. Fit and lay perfectly. We look forward to see you soon. and you need to paint it into different colour base on your car. BMW X5 E70, E-70 (2007-2014). Headlight Eyebrows / Lids. Fit and lay perfectly. Made from hight quality ABS plastic - this is not fiberglass copy. 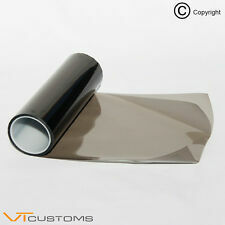 Double side automotive tape attached - for easier installation. VAUXHALL / OPEL SIGNUM FACELIFT. VAUXHALL / OPEL VECTRA C FACELIFT. They are made of black high quality ABS PLASTIC, direct from the manufacturer. Fit and lay perfectly. We look forward to see you soon. 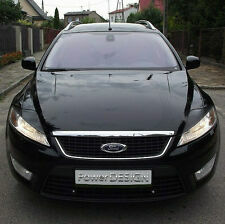 FORD MONDEO 4 mk4 Eyebrows (2pcs). Eyebrows Headlight Lids Eyelids Brows. Year : 2007-2013. Scania New Generation Eyebrows. These eyebrows fit the headlight with the indicator at the top. We have over 10 years experience in the vehicle graphics industry specialising in Truck graphics. PEUGEOT 107. They are made of black high quality ABS PLASTIC, direct from the manufacturer. Fit and lay perfectly. We look forward to see you soon. It makes a perfect gift or personal treat. and you need to paint it into different colour base on your car. AUDI A3 / S3 / RS3 8P 2003-2008 only! Headlight Eyebrows for Headlight Eyebrows. On the surface of the product might be visible small cracks ( which will be removed preparing the product for painting ). FORD FUSION. They are made of black high quality ABS PLASTIC, direct from the manufacturer. 200 2- 2012. Fit and lay perfectly. We look forward to see you soon. It makes a perfect gift or personal treat. SKODA OCTAVIA 3 TYP 5E. They are made of black high quality ABS PLASTIC, direct from the manufacturer. Fit and lay perfectly. We look forward to see you soon. It makes a perfect gift or personal treat. Headlight Eyebrows / Lids. Volkswagen Passat B6. Made from hight quality ABS plastic - this is not fiberglass copy. Ready to paint - or You can stick them unpainted. Fit and lay perfectly. For strong connection You have to use a silicone based glue -. PEUGEOT 207. They are made of black high quality ABS PLASTIC, direct from the manufacturer. Fit and lay perfectly. We look forward to see you soon. It makes a perfect gift or personal treat. and you need to paint it into different colour base on your car. FORD FOCUS MK2. They are made of black high quality ABS PLASTIC, direct from the manufacturer. 200 8 - 2010. Fit and lay perfectly. We believe that everything could be solved smoothly by communication. BMW 1 E81 E82 E87 E88. Eyebrows Headlight Lids Eyelids Brows. Eyebrows (2pcs). The product is produced in EU by all high quality standards. Easy installation. 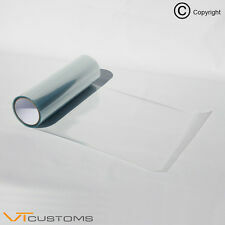 Installation type : 3M Scotch tape or glass adhesive sealant. VW PASSAT B6 3C. They are made of black high quality ABS PLASTIC, direct from the manufacturer. PROFESSIONAL TUNING ACCESSORIES FOR CAR. Fit and lay perfectly. We look forward to see you soon. and you need to paint it into different colour base on your car. 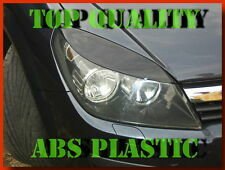 This headlight eyebrows have beenmade of strong and flexible material - Glass-Reinforced Plastic. The eyebrows. Eyebrows Headlight Lids Eyelids Brows. Volkswagen Passat B7 Eyebrows (2pcs). The product is produced in EU by all high quality standards. Easy installation. The product is ready for painting. Headlight Eyebrows / Lids. AUDI A6 C6 2004-2011. Made from hight quality ABS plastic - this is not fiberglass copy. Double side automotive tape attached - for easier installation. Fit and lay perfectly.